Thelma L. Anderson, 88, passed away peacefully Wednesday morning in the comfort of her home with her children by her side. She was born October 29, 1930, in Limerick, to Wilfred and Louise (Welsh) Bettney. She married Carroll W. Anderson, Jr. in 1950. They settled in Westbrook, where they raised their family and would live out their lives. 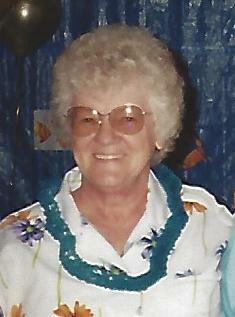 She worked at Weyerhaeuser for 29 years, retiring in 1995. Thelma was a devoted mother, and loved spending time with her family at the camp on Sebago Lake. She doted on her grandchildren, and would spend almost every weekend with them. She enjoyed having fun by playing games with the family, watching movies, and travelling. She had a snappy wit and was not afraid of speaking her mind, which was appreciated by all. Thelma was predeceased by husband Carroll; brothers Harold, Ralph, & Leonard Bettney; and son Terry. She is survived by sister Gloria; daughter Crystal Shute; son Gary; grandchildren Jason, Erica Shute, Ben Shute, Kyle, & Traci; and nieces & nephews. Thelma’s service will be private, and her ashes scattered on Sebago Lake per her wishes.